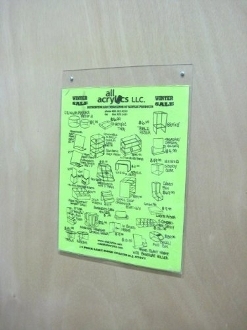 Brand New Crystal Clear Acrylic 8 1/2" x 11" Wall Mount Sign Holder. Set of 12. Great for promotions, Retail, Trade Shows or Office.